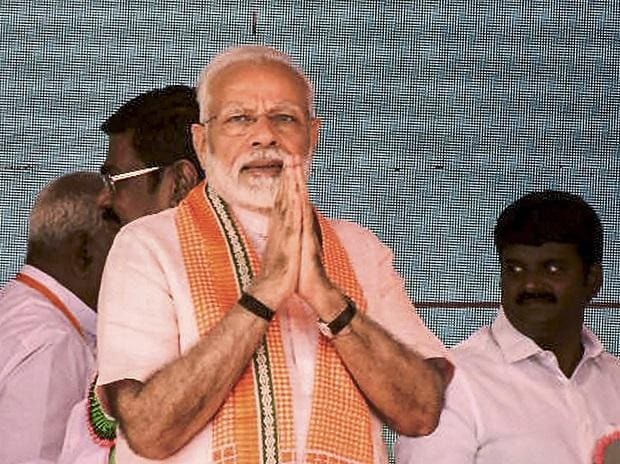 Prime Minister Narendra Modi on Wednesday credited his government's demonetisation decision for bringing down prices of houses and making them affordable for the aspiring youth. He also said that if the previous governments had to do the work that he has done so far, they would have needed "25 more years" for it. The prime minister was addressing a gathering after laying the foundation stone for extension of the new terminal at Surat airport in Gujarat. "I was asked what has been the benefit of note ban decision. You should ask it to the youth, who could buy residential homes at affordable rates after the decision. Black money used to be parked in real estate sector, but with decisions like note ban and RERA, we put a check to it," Modi said. He lauded the Civil Aviation Ministry's 'Udaan' (Ude Desh Ka Aam Nagrik) scheme - a regional connectivity scheme that makes flying affordable for masses, saying it will boost development of the country's aviation sector. He also stated that for the last 30 years, the country had a "hung Parliament" due to which progress was affected. "But four years ago, people voted to give full majority after which the country is progressing rapidly," he said.